One of the first things that come to our mind when we get a new flat or a new home is ‘Security’. How secure are we? Are we safe enough to live in that home? Should we add a door-camera or an extra fence, perhaps? One could imagine if security plays such an important part to protect our home, don’t you think, the same applies to your new tablet? In fact, if anything that stays with us for 24×7, it becomes mandatory for us to pay more attention towards it. And, to be honest, our tablet/smartphone is our second home. We literally, live-out our phones. In these circumstances, it then becomes our responsibility to protect our phone, our data from all kinds of thefts and viruses. It’s no more an option. Now, the question here is – how would you do it? Well, there are many ways to protect your tablet. For example, you can use McAfee or AVG antivirus, which are available for free in your ‘Google Play’. It is necessary for you to download it from ‘Google Play’, as you would receive timely updates, which in turn will help you protect your tab more efficiently. Back-up: Keep a back-up of all your important data’s. Because, despite taking all the necessary actions, chances are you can still lose a data which could be very important to you. Install App only from Google Play: Never ever install apps and games on your tablet other then Google play. As files from other source may contain the bug or virus which allow hackers to access your tablet and steal your information. 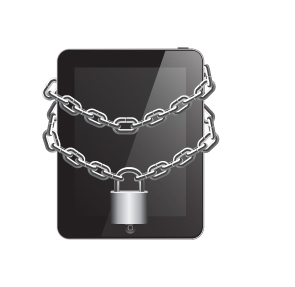 Lock and Key: It is better to keep your tablet locked. It helps in avoiding phone-misuses. Clear cookies: After each internet session, it is advisable to clear cookies regularly. Sync-wisely: Be careful of the data which gets sync automatically with the app you install. You don’t want your personal information to fall in to the wrong hands. Take a good care of your device. Give it the best security it deserves.